Alice Babette Toklas met Gertrude Stein in 1907, the day she arrived in Paris. They remained together for 39 years until Stein’s death in 1946. While Stein became the center of the avant-garde art world, hosting an exclusive salon that welcomed the likes of Ernest Hemingway, Pablo Picasso, James Joyce, Ezra Pound and F. Scott Fitzgerald, Toklas largely preferred to stay in Stein’s shadow, serving as her secretary, editor and assistant. 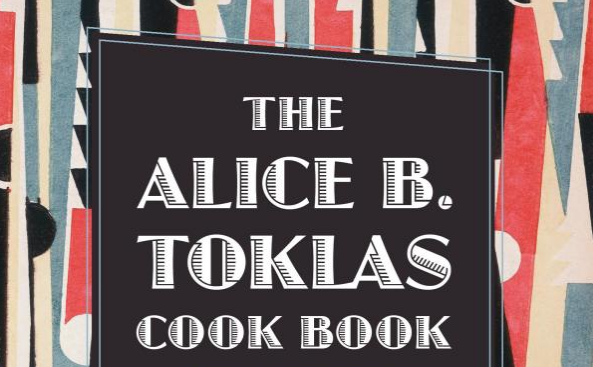 That changed in 1933 when Stein wrote The Autobiography of Alice B. Toklas (read it online) -- a retelling of the couple’s life together with Toklas serving as narrator. The book is Stein’s most accessible and best-selling work. It also turned the shy, self-effacing Toklas into a literary figure. Take one teaspoon black peppercorns, one whole nutmeg, four average sticks of cinnamon, one teaspoon coriander. These should all be pulverized in a mortar. About a handful each of stoned dates, dried figs, shelled almonds and peanuts: chop these and mix them together. A bunch of Cannabis sativa can be pulverized. This along with the spices should be dusted over the mixed fruit and nuts, kneaded together. About a cup of sugar dissolved in a big pat of butter. Rolled into a cake and cut into pieces or made into balls about the size of a walnut, it should be eaten with care. Two pieces are quite sufficient. Toklas concedes that getting the key ingredient “can present certain difficulties” and recommends finding the stuff in the wild, which might have been possible to do in the early 1960s. Nowadays, the best course of action is to move to Washington, Colorado or Uruguay. In the recording, Toklas then goes on to recall how hashish fudge came to be included into her book. As a fan of Peter Sellers I have watched the movie “I Love You Alice B. Toklas” http://www.imdb.com/title/tt0063115/?ref_=nv_sr_1. Now I know who she was. Yes, that is the Brion Gysin that hung out with William S. Burroughs.